View cart “Childrens Wooden Bowling Skittles Game – Frog” has been added to your cart. 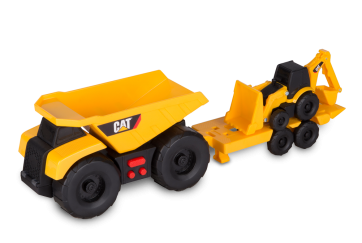 CAT Mini Trailer Team Dump Truck with Backhoe is perfect for little construction fans! 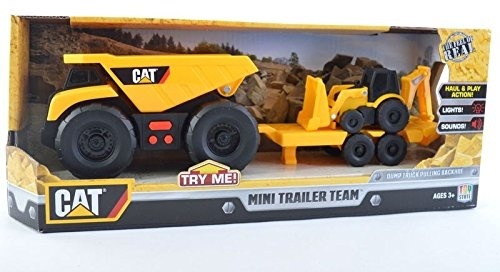 Caterpillar work machines are made to have the feel of real, and this CAT Mini Trailer Team Dump Truck with Backhoe is no different with a realistic styling and awesome moveable parts. 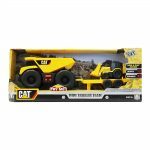 This CAT Mini Trailer Team Dump Truck with Backhoe is made of sturdy plastic so when you are doing some earth moving these work machines will last. 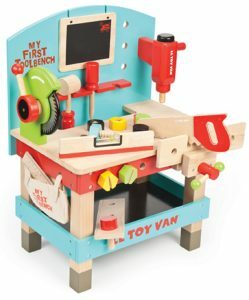 The set consists of classic push powered dump truck with trailer, with a mini backhoe riding on the back. The dump truck has both lights and sounds. 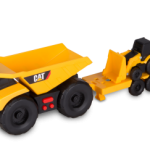 This CAT Mini Trailer Team Dump Truck with Backhoe is super fun for indoor or outdoor use. 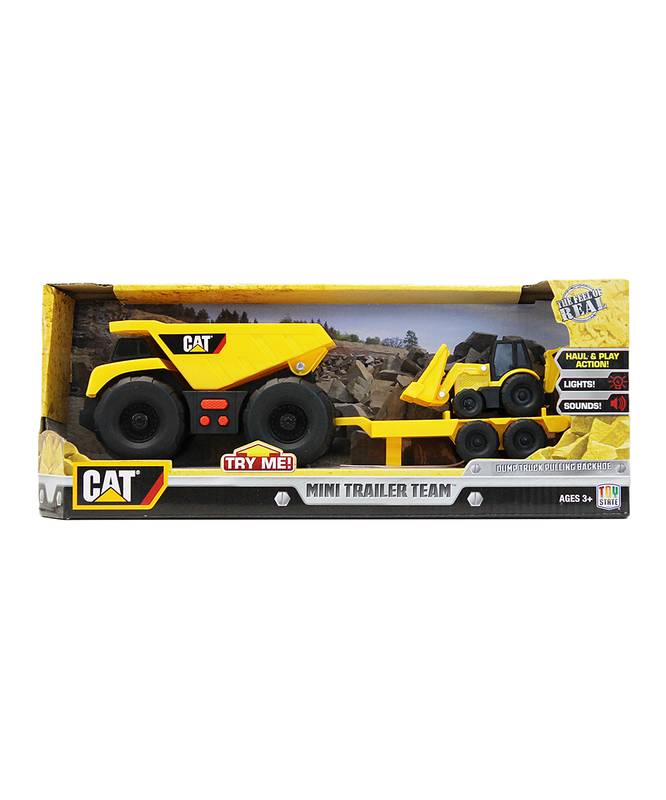 Use the CAT Mini Trailer Team Dump Truck with Backhoe in your very own backyard construction site, or take this cool construction machine toy to the park and have fun with your friends. Caterpillar toys are made to the highest standards of safety and quality.